HBO's Watchmen TV series is moving right along, as the show's pilot has officially enlisted director Nicole Kassell. The series comes from Damon Lindelof, who previously worked with Kassell on The Leftovers. Kassell directed a couple of key episodes of that HBO series including No Room at the Inn and It's a Matt, Matt, Matt, Matt World. It's been reported previously that the Watchmen TV pilot will begin shooting in March, giving Kassell, Lindelof and the network a little over a month to get everything ready. With that in mind, we should be hearing some casting news sooner rather than later. The only significant rumored casting we've heard is that wrestler-turned-actor John Cena could be up for the role of Doctor Manhattan. Patrick Wilson, who played Nite Owl in director Zack Snyder's Watchmen movie adaptation, has also expressed interest in reprising his role, but there's no evidence HBO is going to go that route with this new adaptation at this time. In all likelihood, they will pursue an entirely new cast for the TV series. Especially since Snyder isn't involved in the series, even though he initiated talks with HBO in 2015 to bring Watchmen to the small screen. As for Nicole Kassell, she's very qualified to handle the Watchmen TV pilot. Not only did she work with Damon Lindelof on The Leftovers, but she has a very impressive list of TV directing credits. She's also worked with HBO on episodes of Westworld and Vinyl. Outside of HBO, she's worked on shows like The Killing, Better Call Saul, American Crime and FX's critically-acclaimed series The Americans. She also directed the pilot for TNT's Claws and the finale of Hulu's upcoming Stephen King series Castle Rock. So, even though she doesn't specifically have a lot of experience in the world of comic book adaptations, she has an impressive resume. 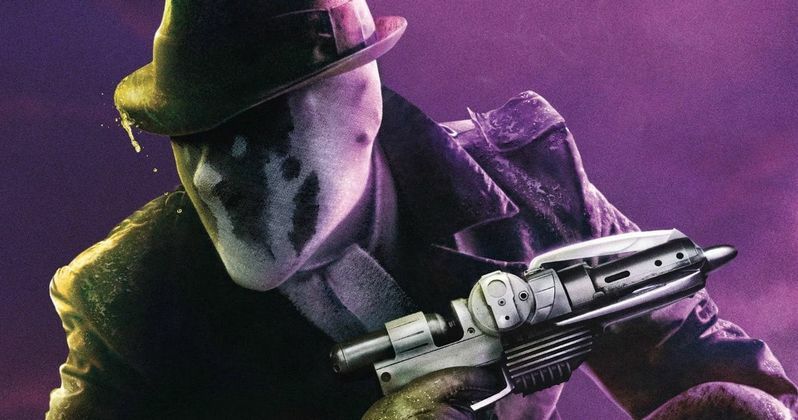 HBO has yet to commit to a series order for Watchmen, which means that what Nicole Kassell and Damon Lindelof do with this pilot will be incredibly important, in terms of getting at least a season order for the show set in the world of DC Comics. Not only does the current political climate lend itself to a new adaptation of Watchmen, but there's been a renewed interest in the characters first created by the legendary Alan Moore in the 80s, as DC has been publishing a sequel, crossover series that ties into the larger DC universe, Doomsday Clock, written by Geoff Johns. Watchmen was first adapted as a movie by director Zack Snyder in 2009. The movie has many defenders, but it was something of a bomb at the box office. The movie only grossed $185.2 million worldwide, working from a steep $130 million budget. Still, the comic book genre has come a long way in the years since and, depending on how it's handled, Watchmen would work even better on the small screen. The news of Nicole Kassell being hired for the Watchmen pilot was first reported by The Hollywood Reporter.